Yesterday, the Wellcome Collection opened their archive of health and science zines to the public. Zines are self-published, small edition magazines with low production cost. Anyone can start one, and many people do. You don’t even need a computer. Zines can be hand-drawn, collaged, and photocopied. Zines can cover any topic. 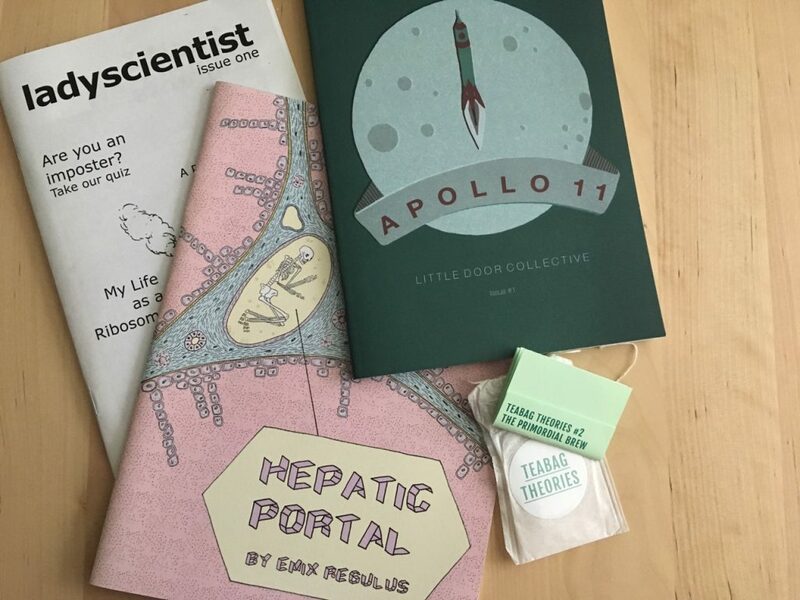 Historically, zines emerged in the science fiction and punk communities, but recently a lot of zines are “perzines”, short for personal zines. 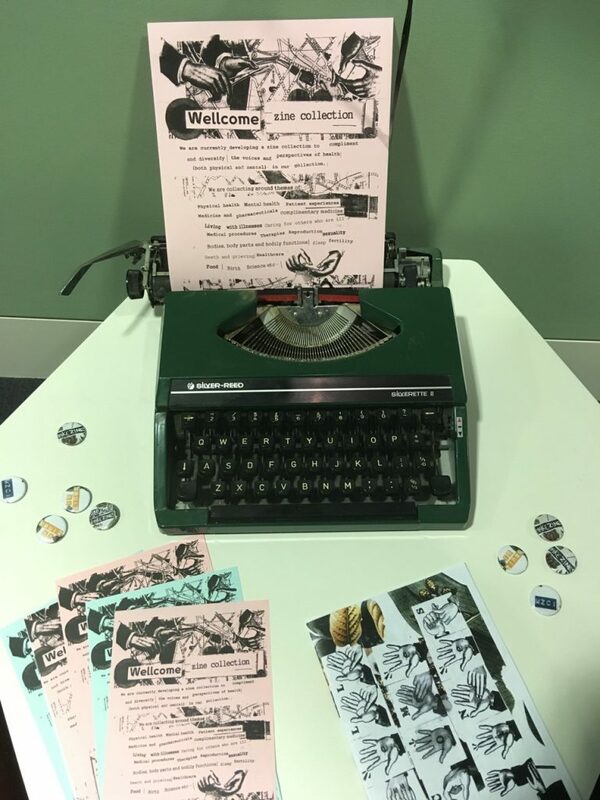 Wellcome archives zines on topics related to health, medicine, and human biology. 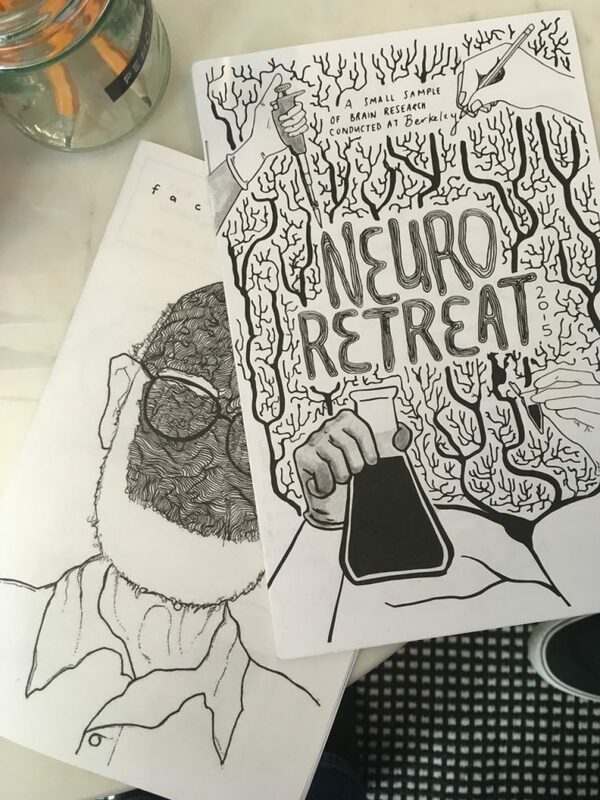 Some of those were science zines, but many of the zines on display yesterday were perzines about health and mental health topics. They’re often very personal, almost like reading someone’s diary. 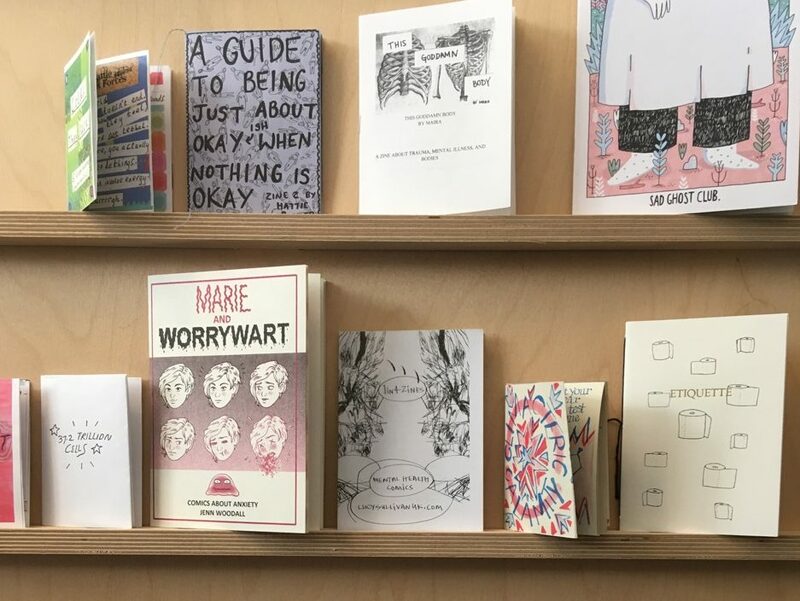 The small batch nature of zines makes it a relatively safe and private space to share. 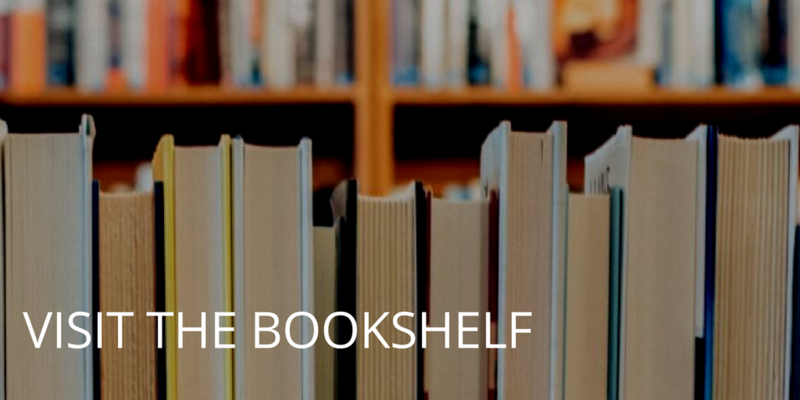 Less private than a personal diary, but far more private and anonymous than the internet. Not all of the zines at the Wellcome Collection are personal zines. They also have several science zines, including a few from Two Photon Art. 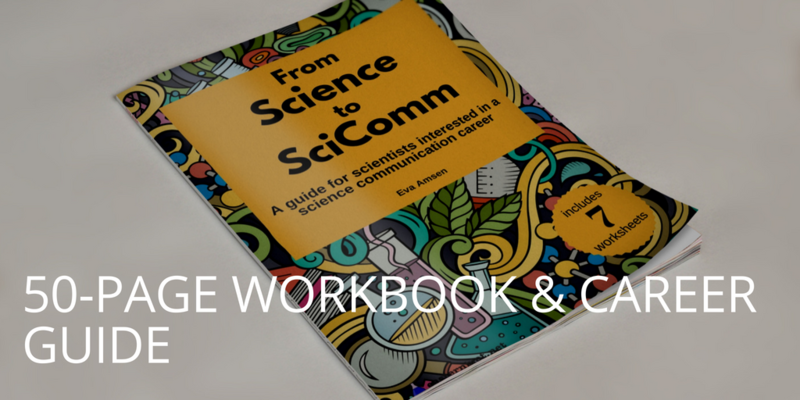 They’re essentially short introductions to scientific topics in a zine format. Two Photon Art also collaborated with New England BioLabs on a few small zines that look a little more professional – almost not like a zine anymore. To me, the fun thing about zines is seeing the handmade aspect. Photocopies, ugly printer streaks, and slightly wonky cuts and folds all contribute to the personality of a zine. Wellcome put their zines back in the archive after yesterday’s event, but you can find science zines in other places. Over the years, I’ve picked up a few at events. In 2009 I blogged about a few small zines from The Small Science Collective. I’m not sure where those are, but I found a few other ones on my shelves that I’ve picked up over the years.